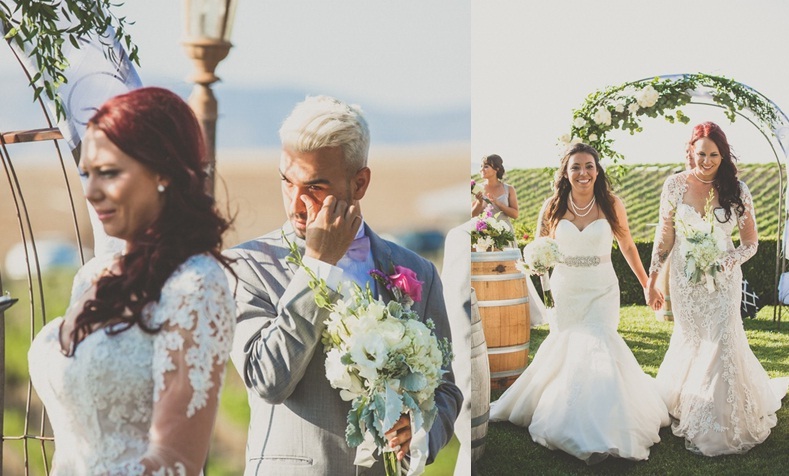 It was a beautiful day in Southern California Temecula Wine Country, and the West Lawn created the perfect setting for the brides’ first look. 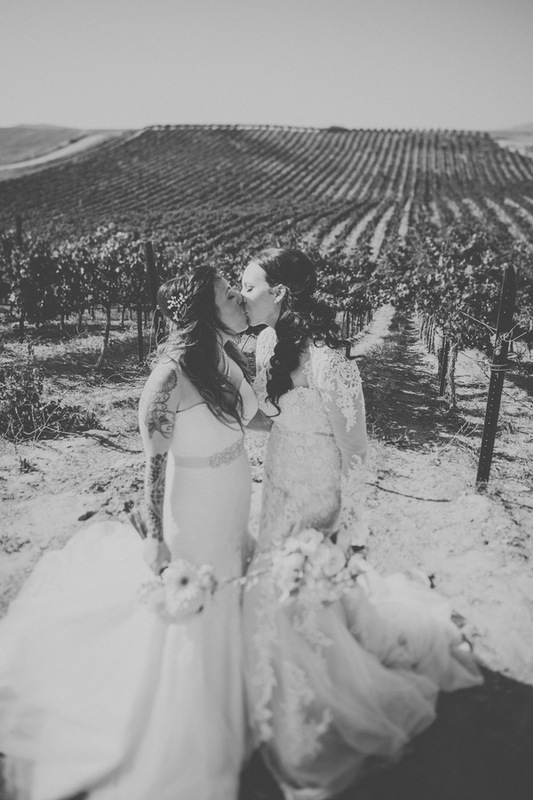 You could really feel the love and beauty within these two as they saw each other for the first time in their bridal gowns. 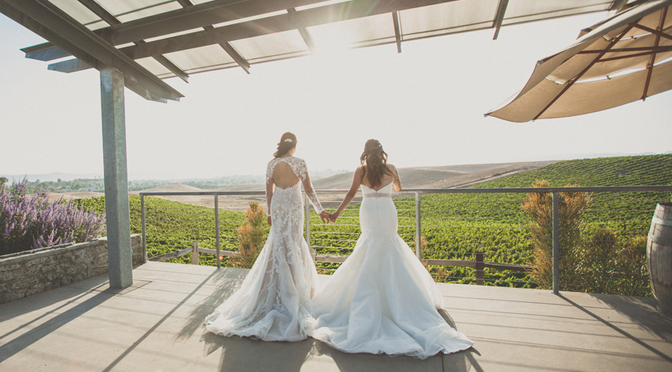 The rolling hills of the Callaway vines, in June, set the stage for some beautiful couple photos, although these two could probably make any scenery look fabulous. 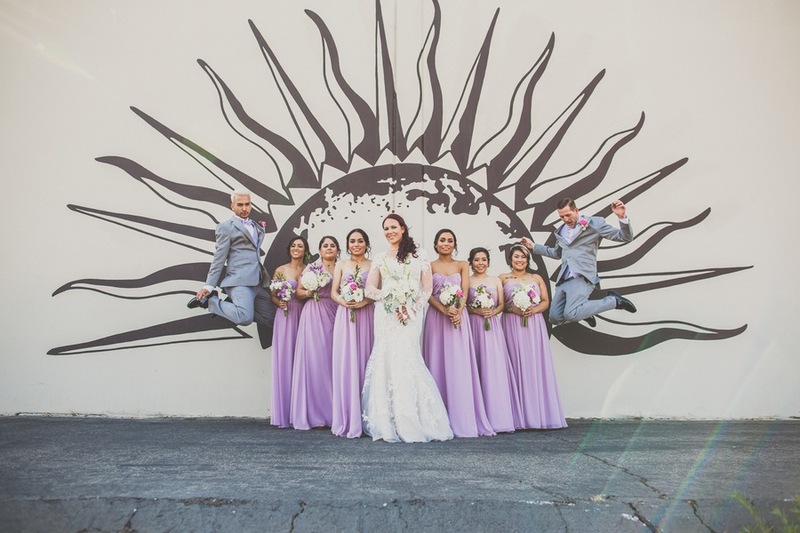 With a very talented photographer and a large, lively group, you would expect some very creative and fun group shots in front of our signature logo. And they definitely didn’t disappoint! 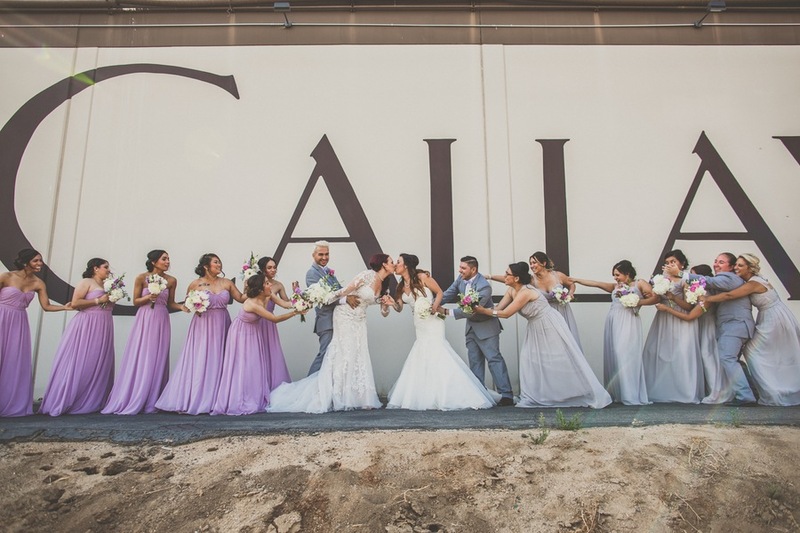 This photo may be one of my top 5 all time favorite photos of a couple at Callaway Winery. 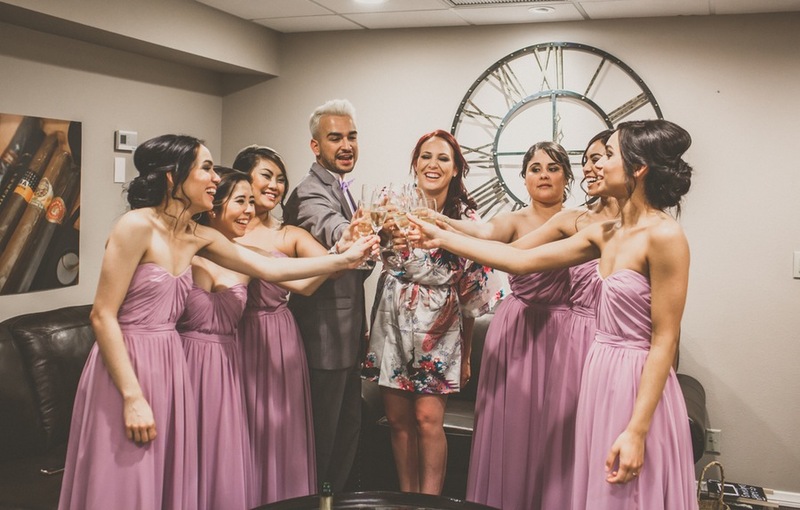 Our sun creates a beautiful and dynamic frame for our brides. 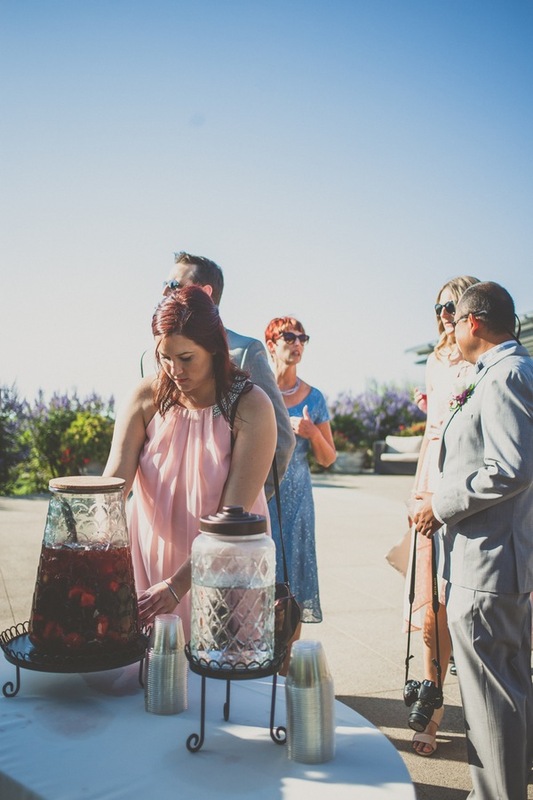 A sangria welcome was available for the guests as they made their way to their seats to get ready for the ceremony. 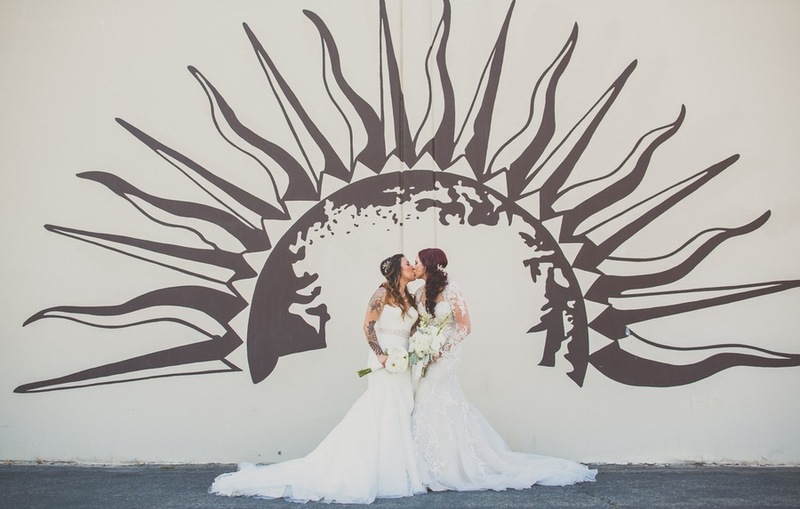 The celebration of these two brides’ union brought tears of happiness to friends and family as they said, I DO! After the ceremony the two brides gathered for some photos on the Callaway Vineyard & Winery courtyard, which is located below the Vu Deck, where cocktail hour was being hosted for guests to enjoy. 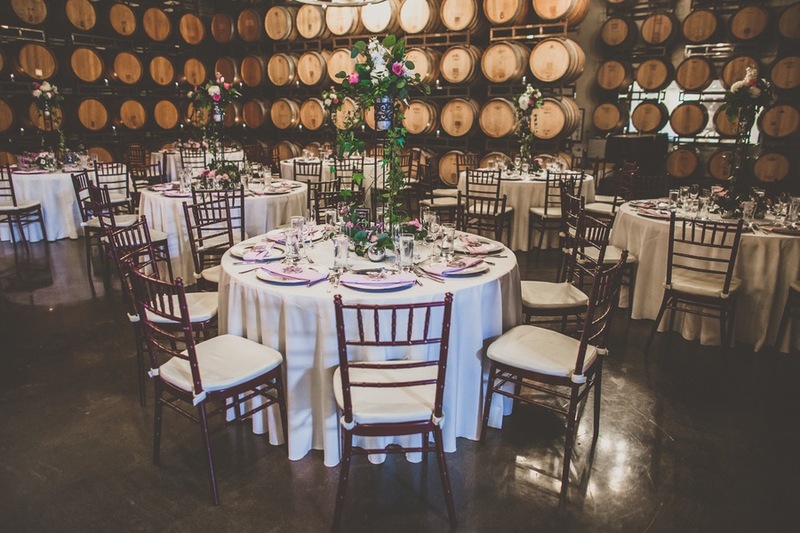 The Reception had transformed the Barrel Room into a garden paradise for the brides and the guests. Lots of greenery with silver & lavender accents filled the tables for a beautiful atmosphere. 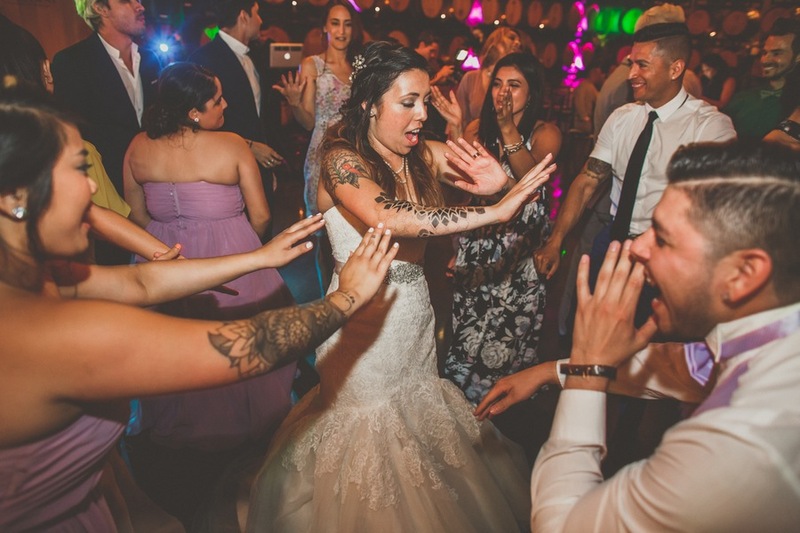 After the grand entrance the party started with everyone dancing with a few breaks for some epic photo booth moments. 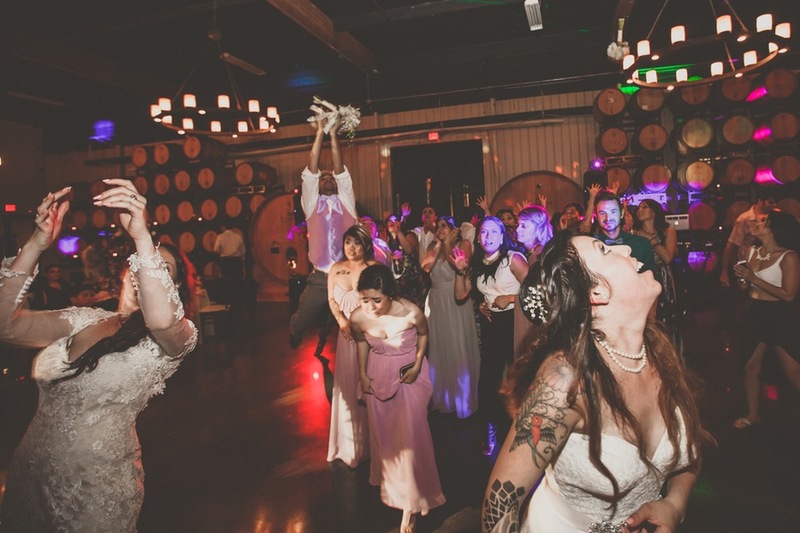 Two bouquet tosses are always so much more fun than one! That’s a very impressive catch. 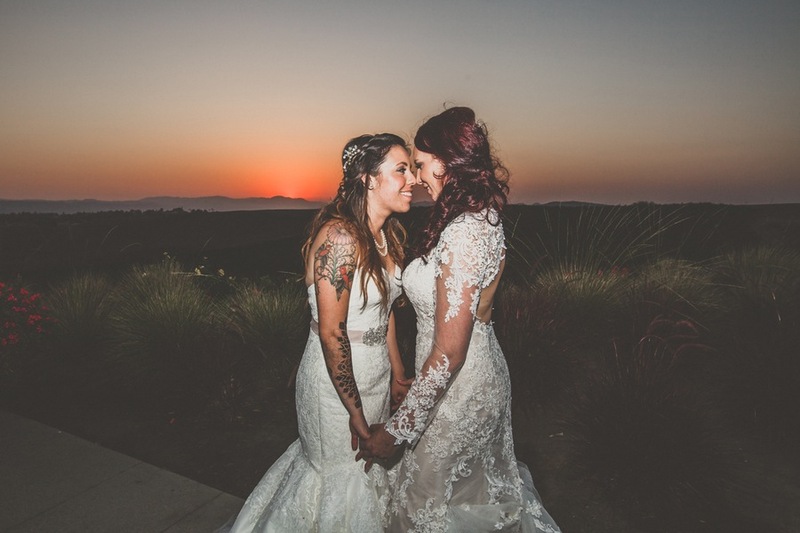 It all came to an end with a beautiful sunset for this beautiful couple. 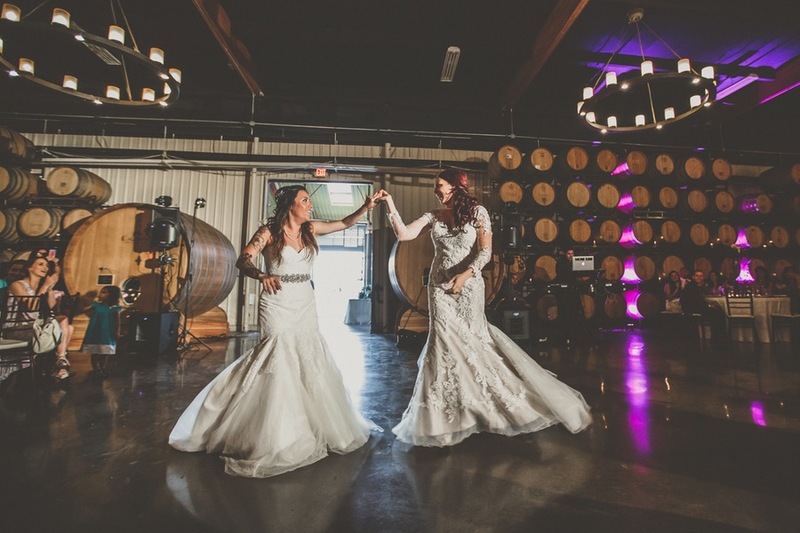 Thanks so much for sharing your special day with us at Callaway Vineyard and Winery. 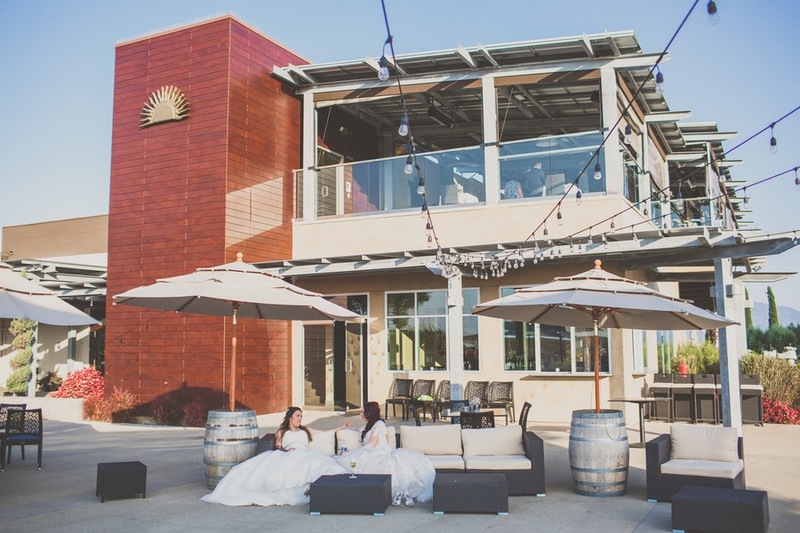 If you would like information on having your own modern, garden inspired wedding at Callaway Vineyard & Winery, please give us a call at 951.676.4001. Ask for our Events Department.